A group of about 50 people gathered in late June in the sunny courtyard of the Portuguese consulate in Bordeaux, France. It was from here in 1939 and 1940 that Portuguese diplomat Aristides de Sousa Mendes do Amaral e Abranches issued approximately 30,000 visas to Jews and other stateless refugees. Lissy Jarvik, who lives today in California, was one of them. "I was a recipient of a Sousa Mendes visa," she tells the group. "Otherwise I wouldn't be here. I would've no longer been alive 72 years ago." Jarvik was just 16 when her Jewish family fled their home in the Netherlands in 1940. She's come back to France today with her two sons. They are part of a group, including visa recipients and their descendants, making a 10-day pilgrimage tracing the escape route taken through France, Spain and Portugal. It was from Portugal that they finally got out of Europe. This group is also paying tribute to Sousa Mendes, the man who made their lives possible. 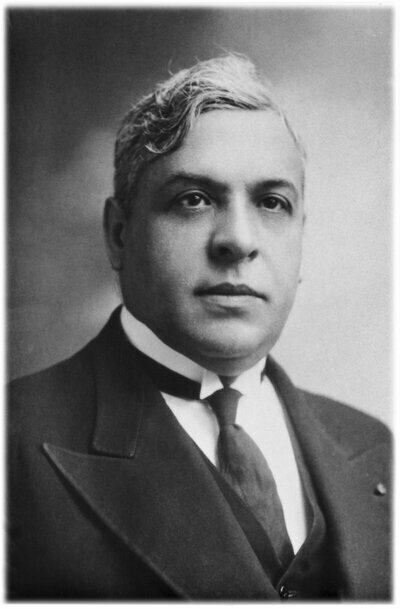 Aristides de Sousa Mendes in 1940. While the heroic stories of others who saved Jews during World War II are better known — such as German industrialist Oskar Schindler, who saved Jews by employing them in his factory — the story of Sousa Mendes, who saved the lives of 10 times as many Jews as Schindler, has remained relatively unknown.